Vistas homes are located in the seaside and gated community of Newport Ridge Vistas in Newport Coast, California. Vistas condos home sales range from $1.1 to $1.5 million with an average 2,300 square feet of living space. The townhouses condos built in 1997 and select properties offer great ocean and sunset views. The Vistas gated development has a beautiful resort-style pool & is situated near beaches & upscale shopping. 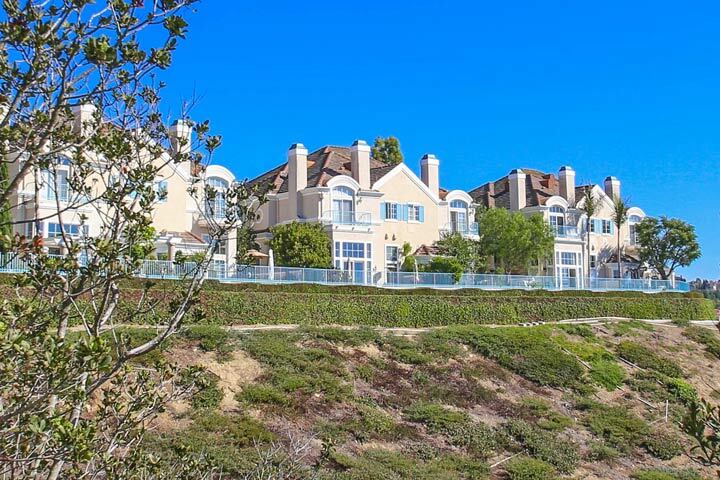 Below are the current Vistas homes for sale and for lease in Newport Coast. Please contact us at 1-888-990-7111 with questions regarding this community and any of the homes listed for sale here. The Vistas Community is under a homeowners associaiton with monthly dues required. The dues include the gated entrance, a nice community pool, spa and clubhouse as pictured below. There are a total of two associations that both have monthly dues for the 70 set of condos that who reside here. This is a great location near the 73 freeway and the Fashion Island shopping center.